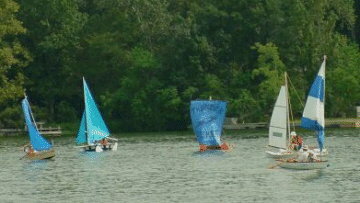 PuddleDuckSailing.com had a $50 sailboat race, all the boats in the race had to be constructed with $50 worth of materials or less. We ran the race at a messabout and had a great time. 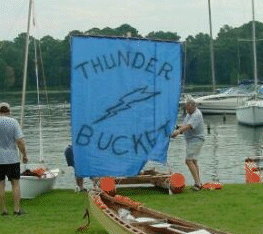 Thunder Bucket was constructed of many buckets and several palates that were disassembled. 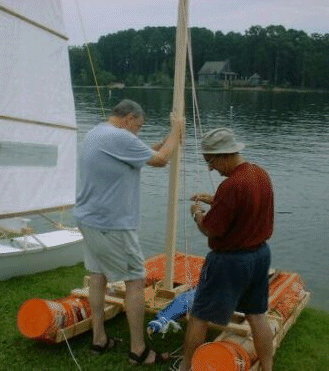 Has a rudder and daggerboard, and really does sail. 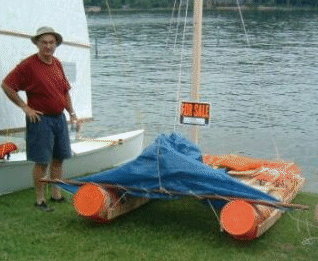 She did pretty well in the race, is now for sale and ready for a pleasure cruise.